Rejected in love, the incredibly rich (but appropriately modest) George Bellew walks into a small English village populated with a cast of most interesting people, from the ramrod straight old Sergeant who can't seem to get beyond talking of peaches with the apple of his eye, to the smarmy Mr. Cassilis who seems to think that the beautiful Anthea (and her farm at Dapplemere) can be had for the asking - if only he asks often enough. And then there is Anthea – a lovely woman, caring for those around her - though full of cares herself - and too proud to accept help from anyone. 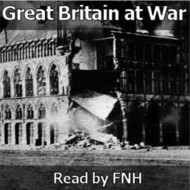 The characters are engaging and well drawn - and the mix and interplay of people make this a very fun book to listen to. This is a solo recording by John Lieder and he does an excellent job crafting voices for the inhabitants of Mr. Bellew's Arcadia. He's easy to listen to and adds a spark to this lovely story. Review by ListeninginChicago for Internet Archive - 5.00 out of 5 stars. Cover design by Kathryn Delaney. 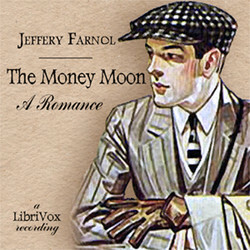 We will send The Money Moon: A Romance to your Kindle at . The Money Moon: A Romance has been sent successfully to your Kindle!